OMG!! I wish I was there for 4 solid hours of Prince music!! I think Prince's passing will always feel surreal to me. I'm grateful that you were born, in order to share all of your talents with the world!! Switched back to my DMSR ringtone today!!! I listened to the June 7th 1984 birthday Show today!!! Listening to the 1984 B'day celebration right now in honor of Prince. It was a bar here in Kansas City called Ollie's Local. It's a casual neighborhood bar, not a dance club, which meant I was free to hit different styles. It wasn't a huge crowd (Tuesday night and all), but some friends came out and I got compliments from several people I didn't know. I could have gone for a few more hours! It pains me to think of some of the songs I didn't manage to get to. OMG that performance of Something In The Water is a sheer musicgasm. Happy Prince Day indeed! We love you! I have been thinking about him all day. I am trying not to cry, because I know that he wouldn't want us to be sad. Prince's music has bought a lot of comfort to me. 2016 was a difficult year for me, not only did lose Prince, I also lost my Dad due to cancer. My father died a week before Christmas. He was a big Prince fan and so was my late mother. How sweet! Thanks for sharing--that's so beautiful!! Prince's "Starfish and Coffee" has been the transition song in my classroom all week. I wore my symbol necklace today and a purple shirt. I enjoyed listening to Prince today while driving to and from work, as well as when I was working in my classroom after the school day ended. The radio station 105.3 WDAS here in Philly played a whole bunch of Prince (possibly only Prince) during the 5:00 pm hour. I was about to throw a fit because I heard no Prince music on 105.3 during the 4:00 pm hour. And of course, I posted something Prince-related on Facebook and instagram. I know Prince is loving all of these wonderful stories! Starfish & Coffee!! Love it!! Happy Birthday to my beloved. I love and miss U so. This also marks 27 years since my high school graduation. You were 32 years old that day. 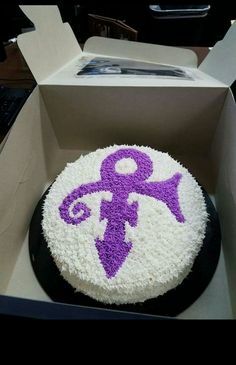 Happy Birthday to Prince, the one and only! Keep Rockin' Hard in Your Funky New Place! I celebrated his day in my own special way! I'll always appreciate and miss you Prince. You are truly one of a kind! I have been BLASTING PRINCE MUSIC ALL DAY. & LOVING IT. to hear/experience/be awed by Prince's singular MUSICAL GENIUS. I understand he stopped celebrating his birthday years ago. for whatever reason. I am VERY HAPPY to celebrate his birthday for him.. I am betting I'm not the only 1 celebrating today. 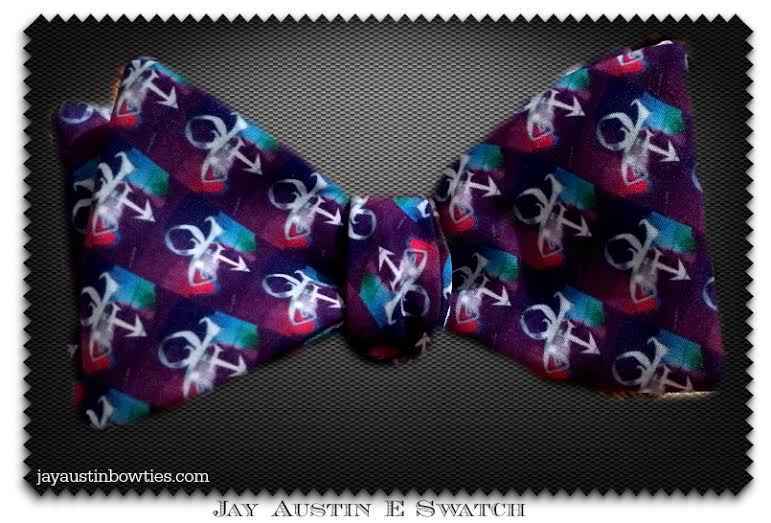 I went to work today in Center City in my Crystal Ball symbol bow tie. Had a few people ask about it. Nice. Where'd you get that fabric? I didn't. I bought it from the site. FINALLY, I was able to post on, 2016', tonight.........sentiments too difficult before. Also celebrated the 'born day', by listening to some albums of his, while cleaning house! I posted a pic you might like, on the last page of 'Prince - In Memorium June 7, 1958-April 21'. "Something about a little box with a mirror and a tongue inside....."